We're sick of it. Since when did monsters get soft and mushy? Vampires aren't meant to fall in love! Ghosts aren't supposed to be our friends! Zombies don't grow a conscience! We're not sure what's happening to our most beloved genre of horror these days, but we don't like it. Not one bit. You've noticed too, haven't you? It's depressing, is what it is. 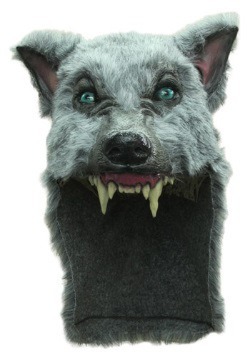 Our most favorite monster, the werewolf, has virtually become a puppy! 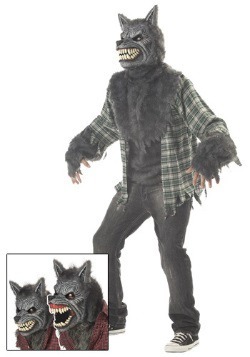 Nowadays they make werewolves giant fluffy dogs that get pets and cuddles. Unacceptable! We're going to demand a return of the blood-curdling creatures we all know and love. We want fangs bared! Throaty snarls! Screams of horror in the dead of the night! Mayhem! Terror! Stuff that doesn't sparkle! Are you with us? Good. Well... we really have no idea where to go from here. We just wanted to make sure we weren't the only ones voting for the more scary monsters. Uh, perhaps we should move on to a petition or emails? No, you're right, that's not good enough. We need to instill fear. We need to show the world what a monster should be. Oh... that gives us a great idea. What if we dress up accordingly? Like the monsters-of-old and show everyone how it's done? Yeah! You could wear something like this Silver Werewolf Costume! This outfit has a ripped and jagged looking plaid shirt. 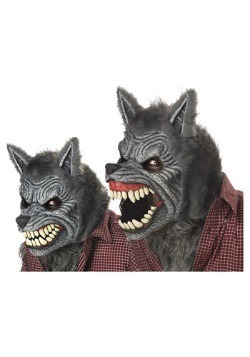 There's a silvery faux fur around the cuffs and neckline, with a mask molded to look like the fiercest snarling wolf you've ever seen. 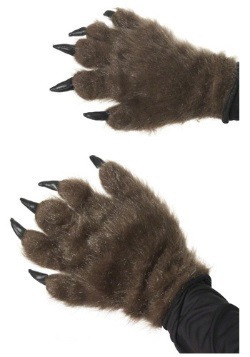 There's even a pair of pawed gloves, with molded backs and fabric palms. In this outfit? 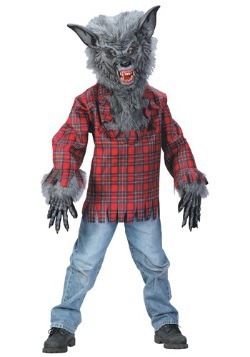 You'll be the scariest werewolf this side of Transylvania. Which is perfect. 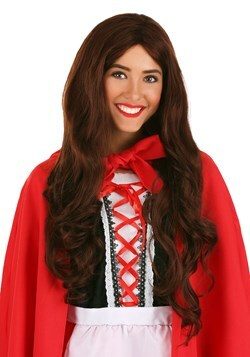 Hopefully, in a costume like this, you'll scare some sense into people. We don't want lame mushy-hearted monsters! Nay, we want something to make our skin crawl and our blood run cold. 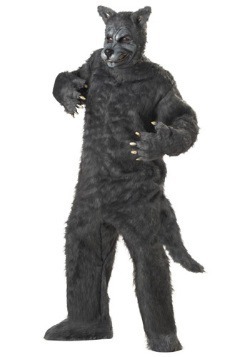 If we ran into you in this costume? 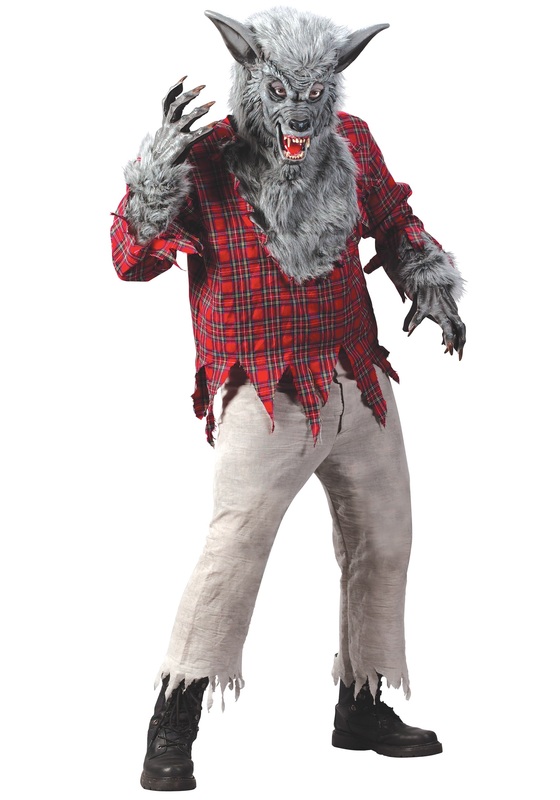 You can bet we would be more than happy to flee in terror, which is really exactly what we're looking for in a werewolf. Now, go get 'em!